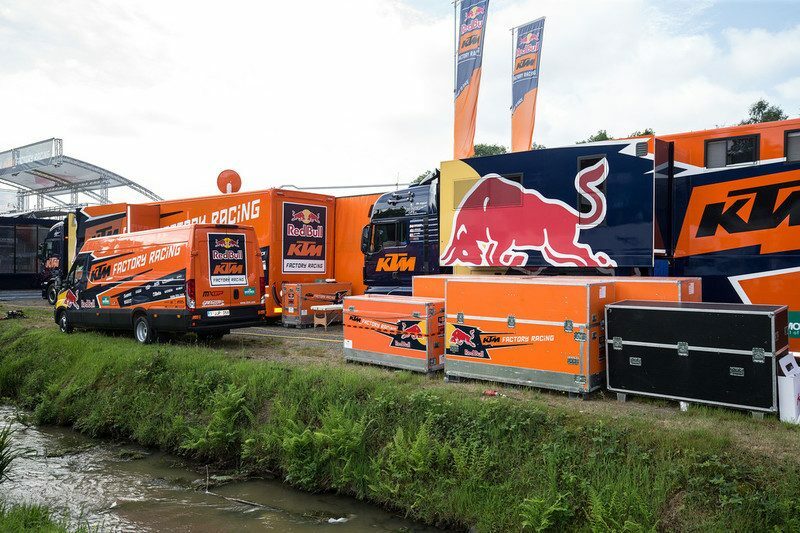 There is a long corridor that runs behind the panels of the Red Bull KTM truck and trailer, a gap between the vehicles and the work areas. 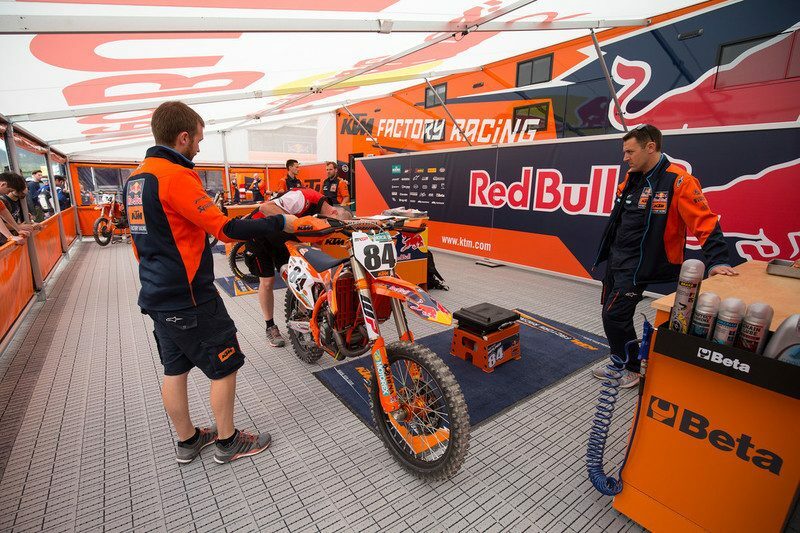 At any one stage of a Grand Prix and meeting of the FIM Motocross World Championship this narrow passage is crossed by mechanics, riders entering their private changing area, team guests, and management talking and making decisions. 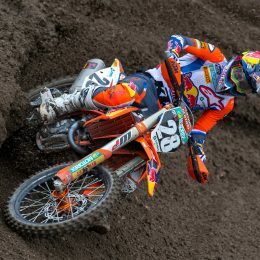 The grey flooring and white awning roof mean it is a bright if slightly imposing place. 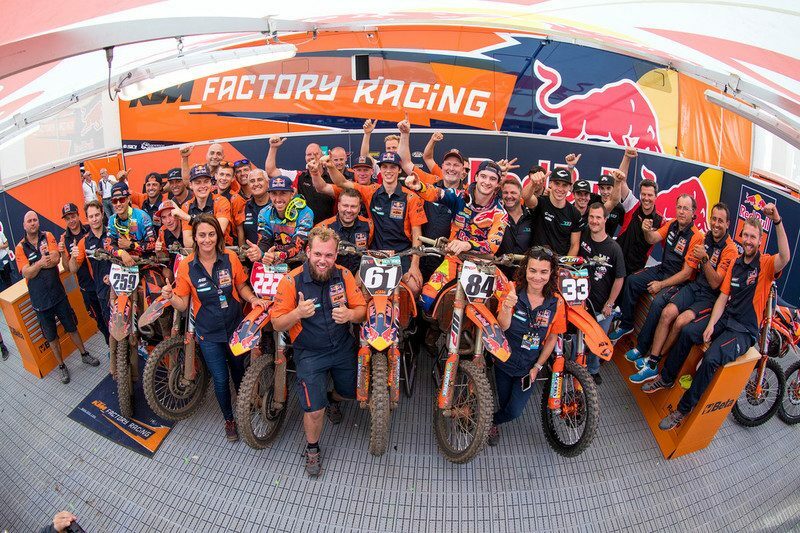 If the dirt, sand and soil of racetracks are the stages for the likes of Tony Cairoli, Jeffrey Herlings, Glenn Coldenhoff, Pauls Jonass and Jorge Prado to produce their best performances then this hub of the racing operation back in the paddock is the thoroughfare for the 14-15 people that make up the technical staff roster and logistics that keep the whole show spinning at a crucial time. 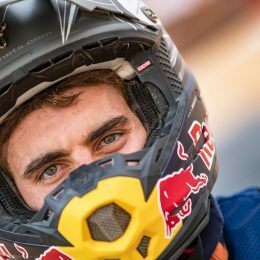 Imagine all the demands on a squad leading both divisions of an FIM World Championship and winning Grands Prix, even to the point where all five athletes appeared on the podium (as was the case at the Belgian round in Lommel). 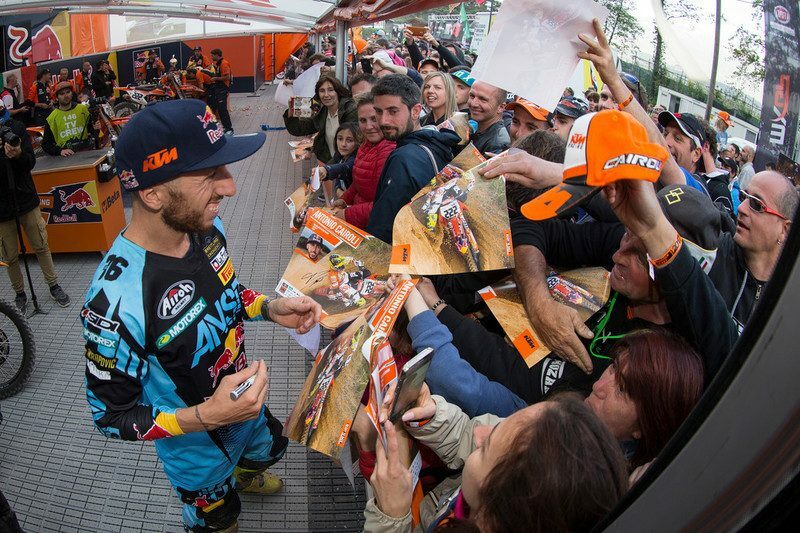 Press, sponsors, technical partners, VIPs, families, friends, even fans: there are as many scenarios and meetings and pressure from the moment a circuit opens as the riders themselves have to cope with in the MXGP motos. 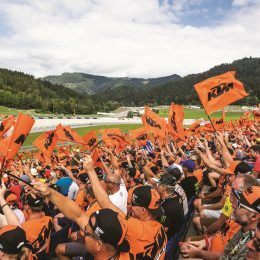 Among the group that are busy and focused over the 72 hours of an MXGP fixture (of which there are nineteen in a season as well as the flagship annual Motocross of Nations) and answer to MXGP and MX2 Team Managers Claudio di Carli and Dirk Gruebel are personnel like Robert Gregor, a 39 year old from Slovakia who has been in charge of logistics for the last seven years and Valentina Ragni, Team Coordinator for fourteen seasons. 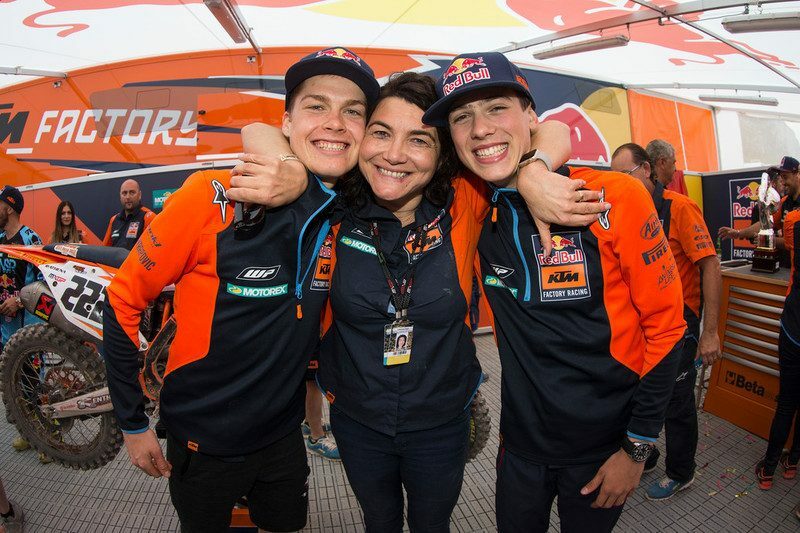 “Sometimes it is hard but it is a nice job and it is good to have been part of the team for such a long time; I’ve been in motocross for fourteen years in total but I was really happy to switch to KTM because this is the best level in the paddock: a very good bike, very popular team and it’s nice to work with people that come from a variety of countries,” he adds.